Kelowna author Alix Hawley will read from her works at UBC’s final Visiting Author evening of the year on April 22 at the Alternator Centre for Contemporary Art. Put on your party hats: A cascade of bold new literature, prose and poetics will spill out onto the streets as UBC’s Visiting Author series closes out the 2013-14 literary season. A special festive evening with a trio of events will be held on Tuesday, April 22, at the Alternator Centre for Contemporary Art, 421 Cawston Ave., Kelowna. 7:30 p.m. (approximate): – Visiting Author reading by Kelowna author Alix Hawley. It promises to be a memorable salute to Okanagan literary distinction. Besides food for the soul, the literati on hand will enjoy snacks, refreshments and an entertaining program. The evening’s events are free and open to the public. After months of anticipation, the winner of the Okanagan Short Story Contest will be announced. 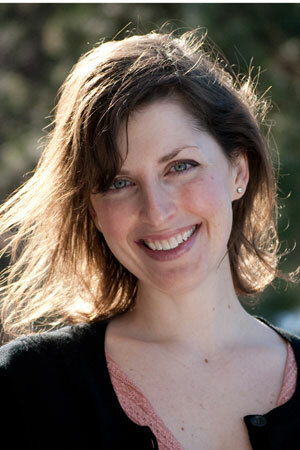 Plus acclaimed Kelowna author Alix Hawley will read from her works. And second-year UBCO creative writing students will read from their collaborative project Vherbage!, a popular draw at the recent Celebrate Research week on campus. The winner, along with second and third-place runners up, will be chosen by UBC Writer in Residence Gerry Shikatani. As an out-of-province judge, Shikatani says he and UBC’s creative writing team found the Okanagan Short Story Contest a pleasurable but serious evaluation of fiction. Literary plots seem often influenced by popular movies and television these days, says Shikatani. That trend is evident in the short-story submissions and even among those in the Governor General awards, which Shikatani judged in 2010. “It is to the loss, perhaps, of the quirky and formally daring that makes fiction truly original,” says Shikatani. The evening at the Alternator also features Hawley as the final Visiting Author of the season. One of five finalists for the English 2014 CBC Short Story Prize, Hawley’s novel, All True Not a Lie In It, a first-person account of American frontier hero Daniel Boone's captivity by the Shawnee, will be published this spring. Hawley has also written a critically acclaimed short-story collection, The Old Familiar (Thistledown 2008). She won the 2014 Canada Writes Bloodlines competition, judged by author Lawrence Hill and Hawley was also a finalist for the CBC Short Story Prize in 2012. A teacher of English literature and creative writing at Okanagan College, Hawley lives in Kelowna with her family. There will also be readings from UBC creative writing students’ class project Vherbage!, with a launch of their collaborative digital writing site that explores the psychosocial, animate lives of plants. The Okanagan Short Story Contest, sponsored by UBC’s Faculty of Creative and Critical Studies, the Kelowna Capital News and the Central Okanagan Foundation, offers cash prizes -- $500 for the winning entry, $200 for second prize, and $100 for third prize. Plus, the top prize includes a one-week residency at the Woodhaven Eco Culture Centre for the winning writer. Woodhaven’s rustic setting of whispering pines, trails and meandering wildlife offers an inspiring atmosphere for artists and writers to relax, work without distraction, and discuss their projects.